I have numbers in cells in Excel. I want the numbers formatted so that if they have decimal places they show to a maximum of two, and if they have no decimal places it doesn't show any. The closest custom format code I've come up with is 0.##. Unfortunately this formats 1.00 as 1. (note the extra decimal point). How can I create a custom format code to remove the decimal point on cell values the report a full whole number? 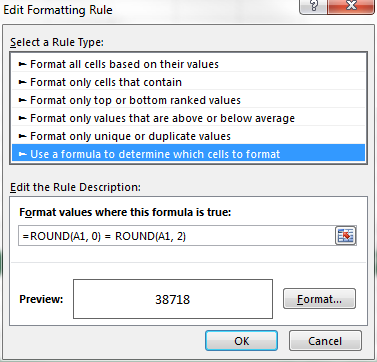 Now you can use the Format Painter to apply the format to other cells. I tested this and it does work. Just change decimal places from one to two. Now click the Format button and set the Number format to General or just #. Not the answer you're looking for? Browse other questions tagged microsoft-excel microsoft-excel-2013 or ask your own question. How to prevent Excel rounding numbers or adding redundant 0's? 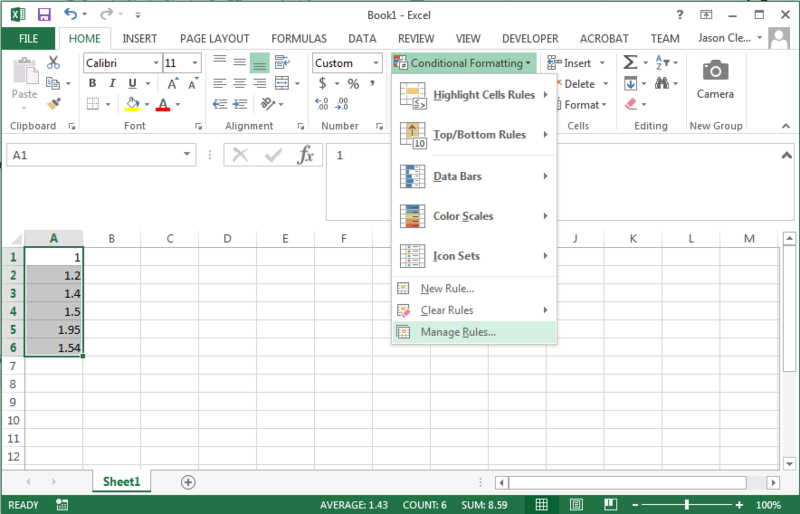 Why Excel sometimes changes cell formats after reopening file? In MS Excel how do I set the number of decimal places dynamically? In Excel, how can I center a column, align decimal points, and not show unnecessary decimal places or decimal point?